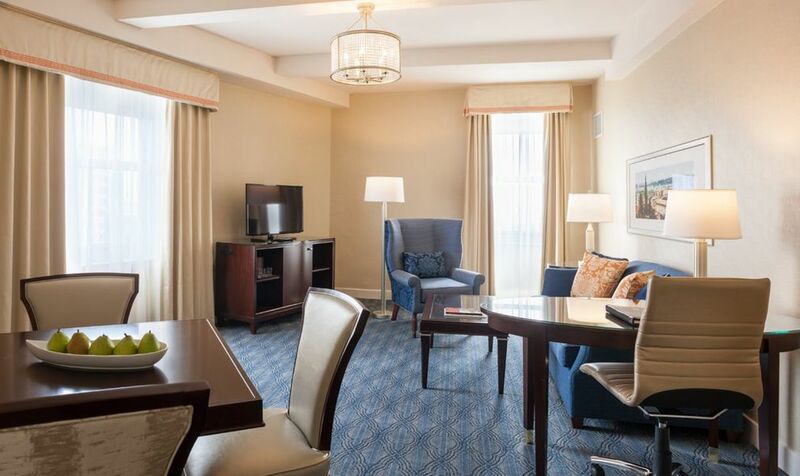 Relax in this spacious suite with a separate living area and private bedroom. 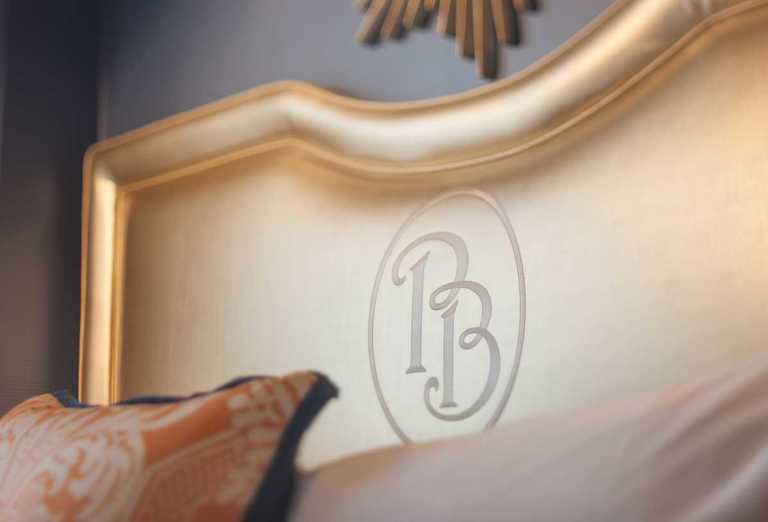 The custom-made Biltmore king-sized bed features a Sealy Ultra plush pillow top and on-request turndown service. 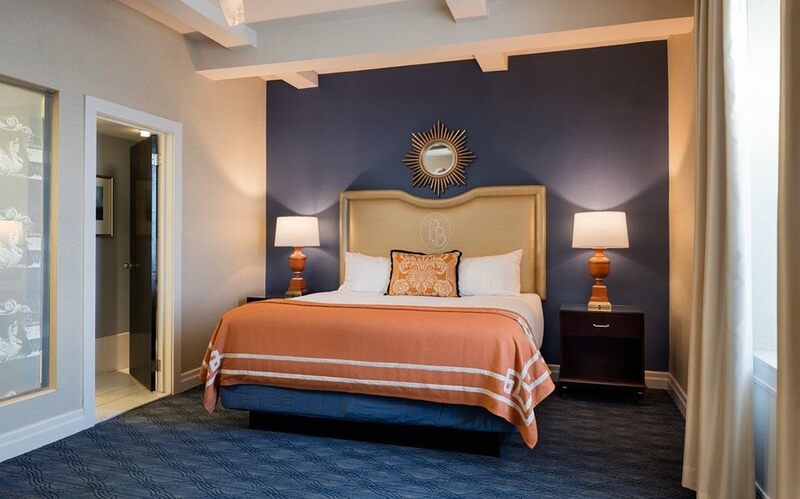 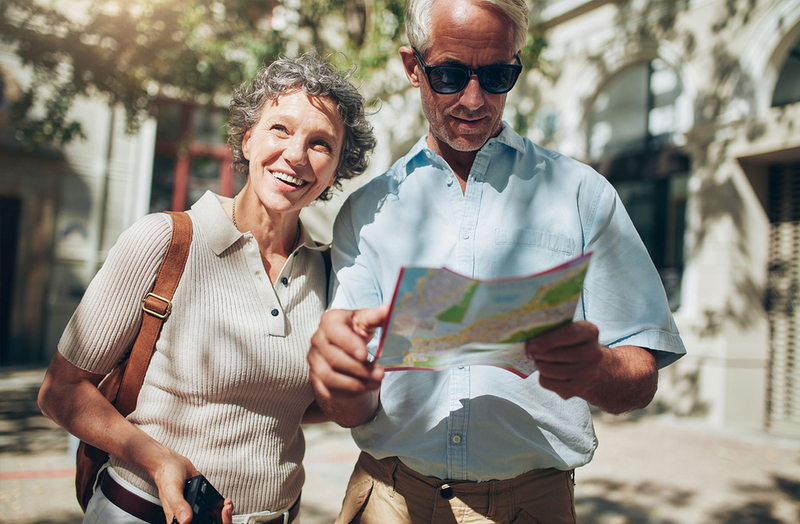 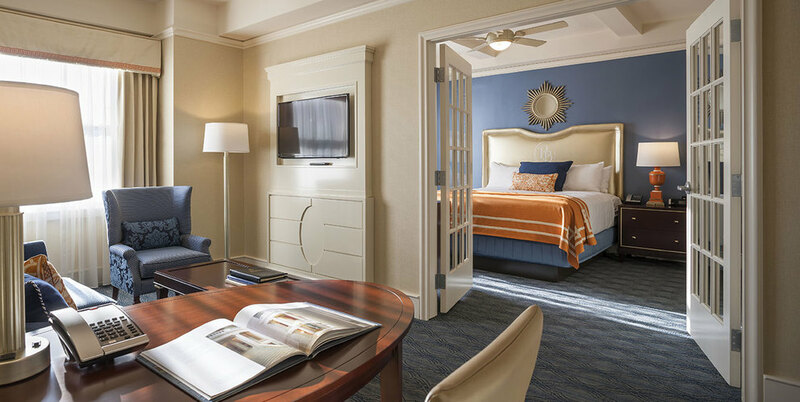 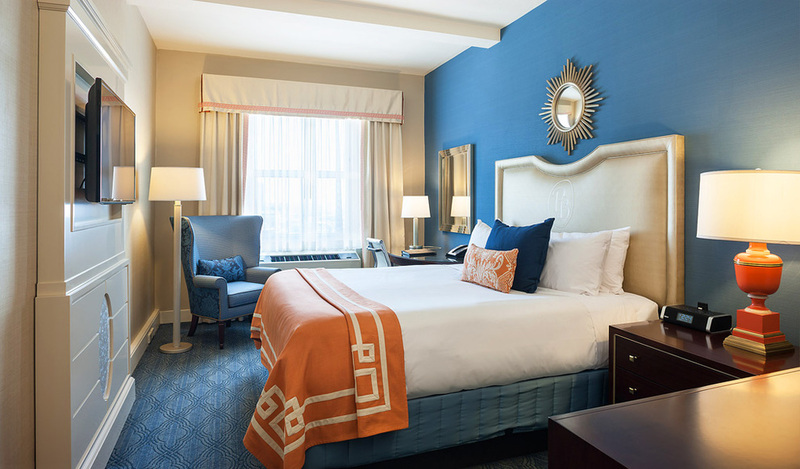 Amenities include a 42-inch flat-screen TV, complimentary WiFi and designer bathroom amenities.